Are you a frequent Delta flyer looking to rack up some extra SkyMiles® and earn rewards flights more quickly? New members can earn a welcome bonus of 30,000 miles after spending $1,000 in the first three months and a $50 statement credit after making a Delta purchase on the new card in the same time frame. On an ongoing basis, earn two miles for every $1 spent with Delta and one mile for every $1 spent on all other eligible purchases. The Gold Delta SkyMiles® Credit Card from American Express can certainly help to get where you're going if you're Delta-loyal. (American Express is a CardRatings advertiser). With no annual fee for the first year ($95 after that) (Terms apply; See Rates and Fees), no foreign transaction fees, free checked bags and discounted Delta Sky Club® access, the Gold Delta SkyMiles® Credit Card from American Express puts more money into your pocket, making it a smart choice for frequent travelers. Enjoy a 30,000-bonus-miles welcome offer after spending $1,000 within the first three months and a $50 statement credit after making a Delta purchase in the same time frame. Roadside and global assistance hotlines. Earn 30,000 bonus miles after making $1,000 in purchases within the first three months. Use the card while abroad and enjoy the lack of foreign transaction fees. Cardholders save money on checked bags – you'll receive one free checked bag per Delta flight. The $95 annual fee after the first year may not be worth it if you aren't a regular traveler. A welcome offer is almost always a nice perk, but when said bonus can quickly be turned into a free flight, that’s something that really gets our attention. Depending on travel location and dates, Delta offers domestic, round-trip plane tickets for as low as 20,000 SkyMiles®, meaning, if you plan it right, you can snag yourself a reward tickets just with the welcome offer from the Gold Delta SkyMiles® Credit Card from American Express. Other ways the Gold Delta SkyMiles® Credit Card from American Express helps cardholders save is by providing its members with one free checked bag on round-trip flights, saving you up to $240 per round trip for a family of four, and by offering discounted Delta Sky Club® access; two small perks that could add up big for those who travel often. Additionally, Gold Delta SkyMiles® Credit Card from American Express cardholders receive priority boarding, which helps to save its members time, and we all know time is money. Plus, who likes to fight for overhead bin space? Lastly, as travel hiccups are bound to happen, we’ve come to love the protection perks that come along with being a Gold Delta SkyMiles® Credit Card from American Express member. With its available insurance plans, when using your card to pay for your travel expenses, the Gold Delta SkyMiles® Credit Card from American Express can help to cover the cost of any eligible lost, damaged or stolen baggage, as well as help cover any expenses you may incur if your car rental is damaged or stolen. Or, if you find yourself in an unfortunate situation, such as with a broken down car or lost passport, access to the Global Assist® and roadside assistance hotlines can be a life saver. 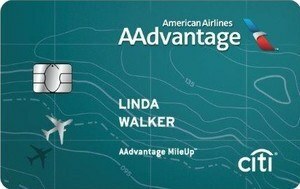 Though a good base level credit card, some of the Gold Delta SkyMiles® Credit Card from American Express perks seem a bit subpar when compared to other American Express Delta Airlines credit cards. The Platinum Delta SkyMiles® Credit Card from American Express (This card is not currently available on CardRatings) and the Delta Reserve® Credit Card from American Express (This card is not currently available on CardRatings), for example, both include a savings of 20 percent on in-flight purchases (in the form of statement credits), which is a small but valuable incentive. 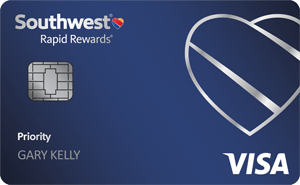 Perhaps more importantly, the card only rewards you with one mile per $1 spent on all purchases other than those with Delta. That makes this not a great card for racking up miles with everyday purchases. Similar to the Gold Delta SkyMiles® Credit Card from American Express, JetBlue Plus CardJetBlue Plus Card will reward you with a large handful of points right from the get go – 30,000 points as a signup bonus after spending just $1,000 in the first 90 days – but the major selling point for JetBlue Plus CardJetBlue Plus Card is that you will earn six points for every dollar spent with JetBlue, compared to the two points you’ll earn for every dollar spent with Delta when using the Gold Delta SkyMiles® Credit Card from American Express. Additionally, the JetBlue Plus Card offers 5,000 bonus points every year at your account anniversary, 50 percent savings on eligible in-flight purchases, and no blackout dates on JetBlue-operated flights. Plus, you'll earn 2 points per dollar at restaurants and grocery stores and one point per dollar on all other purchases. These all might seem like good perks, because they are, but the downside with the JetBlue Plus CardJetBlue Plus Card is that JetBlue only flies to a limited number of airports and markets, most of which are domestic destination, making the Gold Delta SkyMiles® Credit Card from American Express the better choice of the two for frequent international travelers or those who don't live in a Jetblue served market. Though the 60,000 points you receive for spending $4,000 in the first three months with Chase Sapphire Preferred® Card are a nice perk, the spending threshold is more than what the Gold Delta SkyMiles® Credit Card from American Express requires. Even with the high spending requirement, 60,000 points is a still a great bonus and its worth as much as $750 in travel when redeemed through Chase Ultimate Rewards®. Plus, Chase Sapphire Preferred® Card cardholders earn two times the points on all their restaurant and travel purchases, in addition to one point on all other purchases, so the potential to earn points quickly is better with the Chase card. Furthermore, Chase Sapphire Preferred® Card points can be redeemed through a number of different airlines, providing its users with more scheduling flexibility than Gold Delta SkyMiles® Credit Card from American Express cardholders enjoy. The difference here really comes down to the difference between a general rewards card with a travel-reward option (Chase Sapphire Preferred® Card) and an airline-miles focused card (Gold Delta SkyMiles® Credit Card from American Express). With the Citi Premier℠ Card, new cardholders can earn 50,000 points once spending $4,000 within the first three months of opening an account, and unlike the Gold Delta SkyMiles® Credit Card from American Express, users earn points on all travel purchases, not just Delta travel purchases (Citi is a CardRatings advertiser). The Citi Premier℠ Card offers users a quick way to rack up points with three points earned on all travel purchases, including gas station purchases, something not commonly grouped with travel purchases, two points for dining out and entertainment, and one point for everything else. This card also does not charge foreign transaction fees, making it a great international travel companion, however, it does charge users an annual fee ($95, waived for first 12 months). Taking the high sign up bonus and ease of earning rewards into consideration though, most users will probably find that the fee is worth it, especially considering the fact that the sign up bonus alone is worth $625 when booked for airfare through Citi's ThankYou® Travel Center. Points can also be used to shop online at Amazon.com and BestBuy.com, to purchase show tickets through Live Nation®, or for gift cards. Thanks to its great welcome offer, no foreign transaction fees and other travel perks such as free checked baggage and priority boarding, the Gold Delta SkyMiles® Credit Card from American Express is great option for frequent travelers loyal to the Delta brand. To see the rates and fees for the Gold Delta SkyMiles® Credit Card from American Express, please visit the following link: See Rates and Fees.